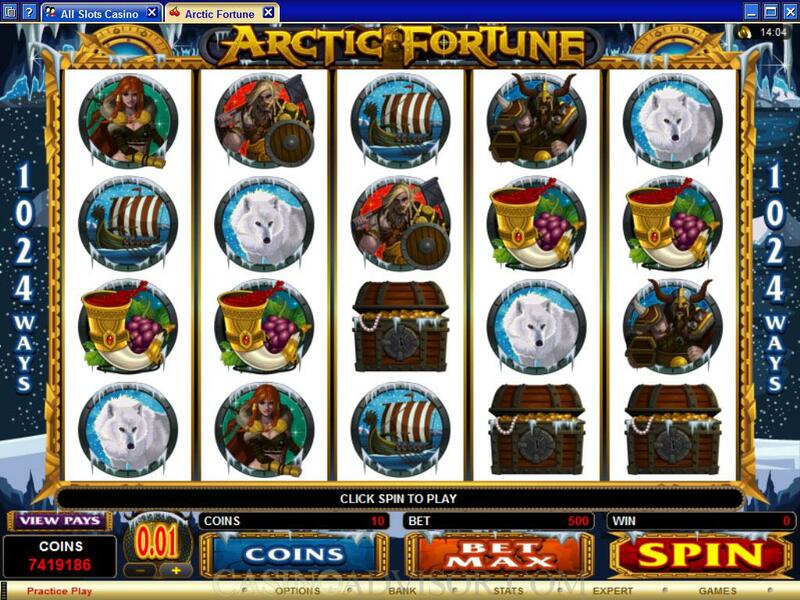 Arctic Fortune is a Microgaming slot that offers 1024 ways to win. This is because there are four rows of symbols on the reels and symbols can appear anywhere on a reel in order to count. All symbols depict animations. The Female Viking twirls her spear. The Longship sails across the snowy sea with the Northern Lights visible. The Husky lets out breath that freezes in the cold atmosphere. The background music plays a vibrant martial tune. 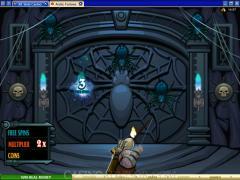 Players can wager between 1 and 10 coins per line. Though all 1024 paylines are always enabled, the total bet per spin is obtained by multiplying the line bet by 50. Way wins (or line payouts) pay out according to pay table multiplied by coins bet per line. Scatter wins pay out according to pay table multiplied by total coins bet. The payouts are converted to credits by multiplying by coin size. In Arctic Fortune the coin sizes available are 0.01, 0.02, 0.05, 0.10 and 0.20. The Arctic Fortune Logo is the wild symbol. It substitutes for all symbols except the scatter symbol. Its drawback is that it appears on Reels 2 and 4 only. The Map is the scatter symbol. If two Map symbols appear any where on the reels there is a payout equal to the total bet. Three or more scatter symbols anywhere on the reels trigger the free spins bonus round. The bonus round awards up to 40 free spins. The payouts are multiplied up to 6 times. And there is a bonus award of up to 9000 coins. The bonus award is multiplied by the total number of coins wagered. 3, 4 or 5 scatter symbols appearing during the free spins award further 3, 4 or 5 free spins respectively. 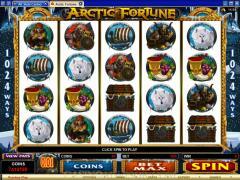 Arctic Fortune does not offer a progressive jackpot. The fixed jackpots are on the lower side. The highest fixed jackpot pays out 1500 coins and the second highest fixed jackpot pays out 1000 coins. However this is to be expected. With 1024 ways to win the payouts occur more frequently and are therefore of lower amounts. 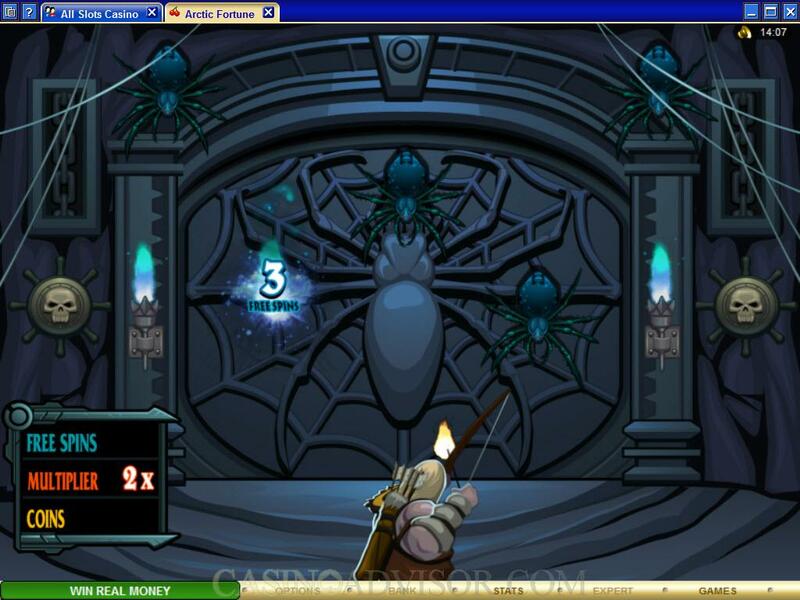 Arctic Fortune can be played in the Expert Mode, which offers a comprehensive Auto Play feature. 5 auto spins or 10 auto spins can be activated directly. Up to 9999 auto spins can be activated through the set up, which can be programmed to stop the Auto Play if a win exceeds or equals a specified amount. Interested in reading more detailed information about Arctic Fortune? If so Click Here for more details.